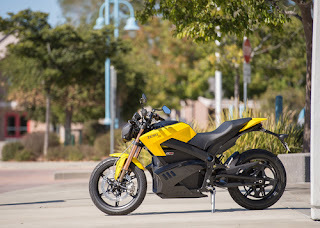 Zero Motorcycles and Hollywood Electrics has given the production electric motorcycle class at the 2013 Pikes Peak International Hill Climb a big boost of support. The two companies announced today they were partnering to participate in the PPIHC on June 30, 2013, in Cascade, Colo. Hollywood Electrics will be entering a few bikes in the event, with technical support from Zero Motorcycles. This year is the first time a production electric motorcycle class has raced the PPIHC. While a few electric bikes have made the run in previous years, they were all conversion bikes rather than production bikes. 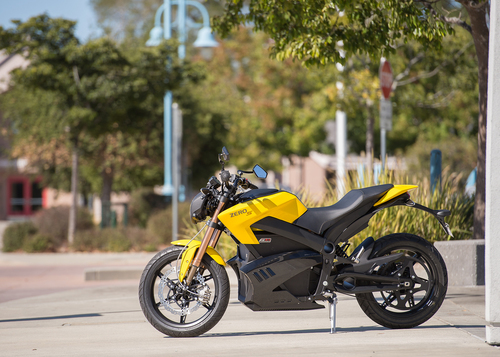 As we saw with the 2012 TTXGP series, that was the first year where production electric motorcycles could credibly race. At the 2012 Portland TTXGP race, the 2012 Zero S's ran against a grid of 250cc gas bikes, performed well, but were proved to be slightly slower as they fell behind a little each lap. The 2013 Zero S/DS bikes are dramatically more powerful, thanks to a better motor, should do very well in the whatever-the-series-is-to-replace-TTXGP-and-e-Power, and do well on Pikes Peak. Jeff Clark has participated in the San Felipe 250, Baja 500 and 1000 and will be riding his own modified 2013 Zero FX. Nathan Barker hails from Australia and is looking forward to his first professional road race to the top of Pikes Peak aboard his own 2013 Zero FX.